Steven Eli Friedman was born on 31 March 1953 in Johannesburg. In 1971 Friedman began studying at the University of Witwatersrand. While at University, he became involved in the student movement, joining the National Union of South African Students (NUSAS). In 1973 Friedman helped establish the Industrial Aid Society (IAS) along with Mirriam Sithole, Phindile Mfeti and Jeanette Curtis. The IAS aimed to provide information and training for workers and trade union organisers. In 1975 Friedman graduated with a Bachelor of Arts (Honours) from the University of Witwatersrand. Friedman then went to work as a senior editor at the Financial Mail from 1976 and 1979. He then moved to the Rand Daily Mail where he became a labour correspondent 1979 and 1985. During the 1980s Friedman compiled a series of studies into the reform of apartheid and its implications for a democratic South Africa. As a result he wrote widely on the transition to democracy before and after the 1994 elections. As a political scientist in the new South Africa, Friedman has written about the relationship between democracy and economic growth and social inequality. This led to two key books Building Tomorrow Today: African Workers in Trade Unions 1970-1984 (1987) andThe Long Journey: South Africa’s Quest for a Negotiated Settlement (1993). Between 1986 and 1989 Friedman was the Manager of Policy Research at the South African Institute of Race Relations (SAIRR). In 1990 Friedman became a senior research officer with the Centre for Policy Studies at the University of Witwatersrand, a position he held until 1991. In 1992 he became the Director of the Centre for Policy Studies. In the lead up to South Africa’s first democratic elections, Friedman became involved in the Independent Electoral Commission as the National Head of the Information Analysis Department. 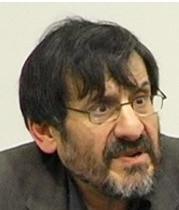 Friedman stepped down as the Director of the Centre for Policy Studies and remained a senior research fellow at the Centre for Policy Studies until 2006. In 2006 Friedman became a research associate with the Centre for the Study of Democracy at University of Johannesburg. He is currently the director there. Since 2005 he has also been a visiting professor for the Politics and International Relations department at Rhodes University. Friedman received his doctorate in literature from Rhodes University in 2007.